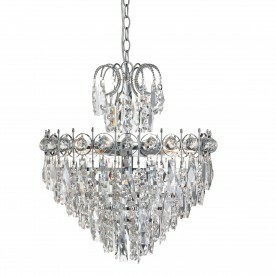 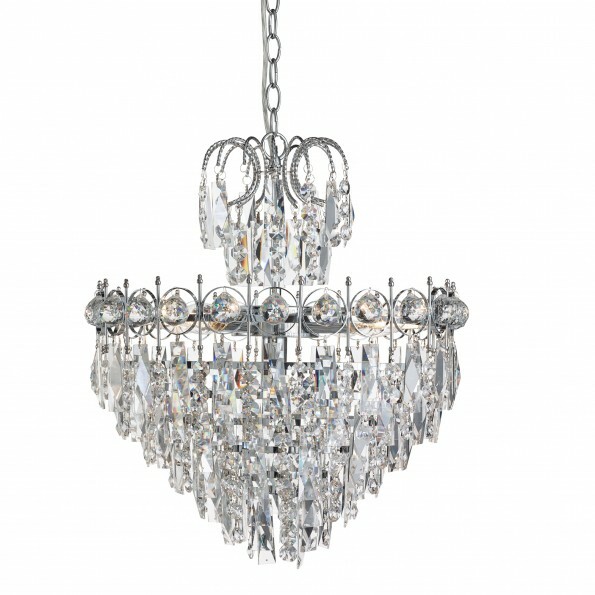 This Catherine Chrome 5 Light Ceiling Fitting with crystal decoration is intricately elegant and would be a stunning centrepiece to any room. 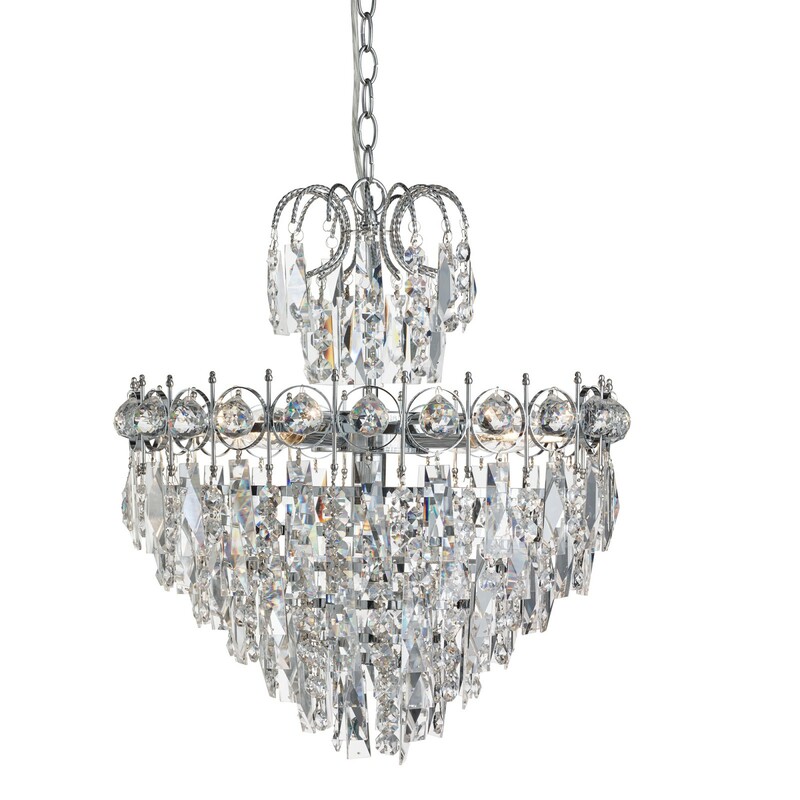 The traditional chandelier features delicate curved arms adorned with cascading crystals in a cone shape around the central chrome finish fitting. 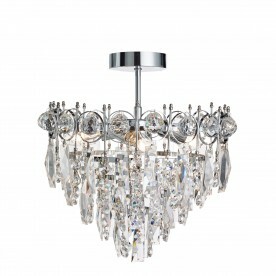 The five lights illuminate the entire fitting and it looks amazing when lit up in the evening.